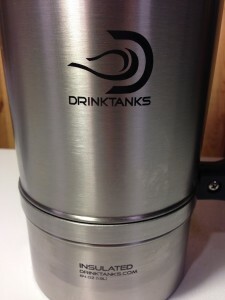 The DrinkTanks Growler is a Stainless, Double Wall, Vacuum Insulated Growler. 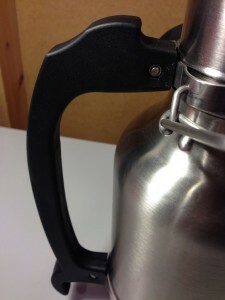 It has an optional Keg Cap that converts the growler into a mini draft keg. 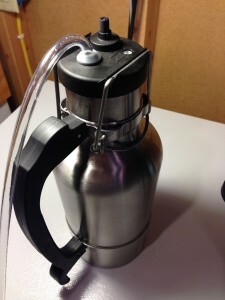 This is a look at the 64 oz size, but it’s also available in a larger 128 ounce/1 gallon version. Additional colors and handle styles are also available. 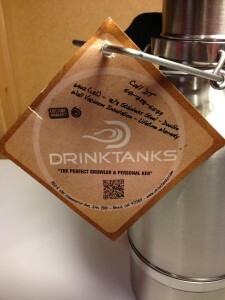 This Drink Tanks Growler was…. 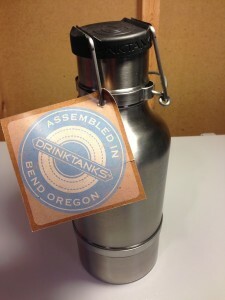 Assembled in Bend, Oregon. A close up on the handle. It feels nice and sturdy. 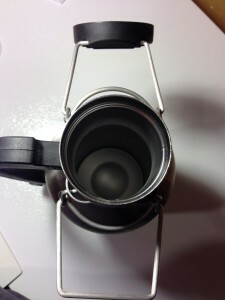 The standard cap installed on the growler. Both caps have an o-ring and a double bail locking system. Remember to engage both bails. I have forgotten the side that stays on the cap and that doesn’t make for a great seal. :). When both bails are engaged the cap has a very solid seal. 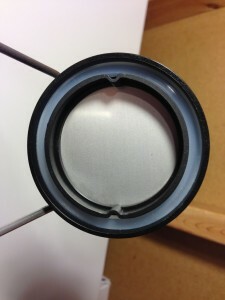 Inside of the standard cap. 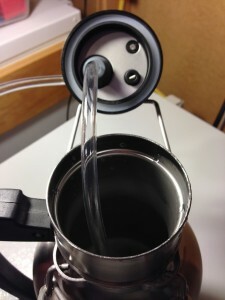 Notice the installed o-ring. I received an extra o-ring. I’m not sure if that comes standard of if it’s part of the Keg Cap option. 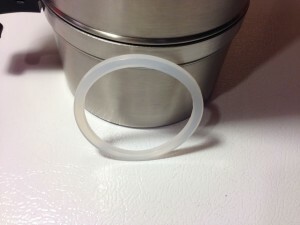 Here is the optional Keg Cap. 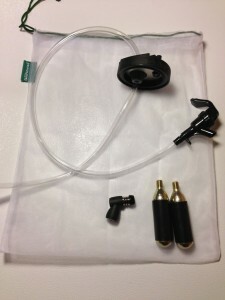 I got a carrying bag, two CO2 cartridges, an adapter, tubing and a faucet. 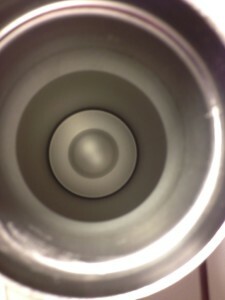 The inside of the Keg Cap. You can see both the CO2 inlet and the pressure relief valve. The PRV is set to release at 10 PSI. Prior to installing the Keg Cap, you’re supposed to pour one glass of beer. Next remove the standard cap and install the Keg Cap. Finally give the growler a charge of CO2. The PRV lets off CO2 at 10 PSI. The instructions also say that you “You don’t need much CO2”. I find that especially true as the growler gets down to the last pint or two. If you need more CO2 at this point, just give it a light tap, don’t go until the PRV starts letting out CO2. I’ve had foaming problems when doing that. Towards the end… a light tap of CO2 is enough. The system does a good job of picking up most, nearly all, of the beer in the growler. 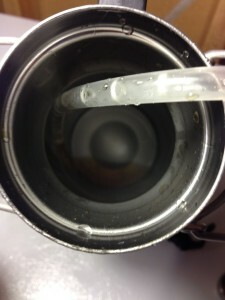 The picture shows what was left after dispensing this particular growler of beer. 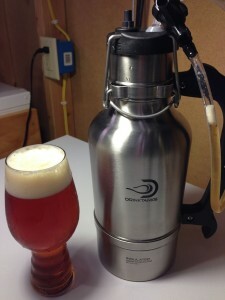 This entry was posted in Draft, Featured Reviews, Growlers, Portable Serving, Reviews, Reviews & Top Posts on June 6, 2014 by admin. 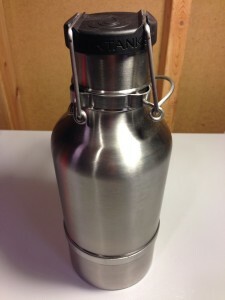 I have 2 of these growlers. Haven’t used in a while because I was in need of the CO2 cartridges which is a 16g cartridge used for bikes and can be found on amazon for a slight discount if bought in bulk. @Anonymous, the features of being insulated, carbonated, and portable are the utility values here. Of which, my corny does not offer any of these features without a wheel barrow and a bunch of ice to seat it in.